The perfect family runabout in a spacious 19’ speed boat rental, all built with Four Winns craftsmanship. From the full width sun-pad to the fully finished ski locker and custom built trailer, this boat is ready for you and your family to hit the water. Bring your family and friends for a relaxing cruise or ski on the calm waters on beautiful Lake Macatawa! Whether you are wanting to check out the sights on Lake Macatawa like Big Red Lighthouse or cruise up to Boatwerks for dinner and a drink, this is one of the best ways to do it. 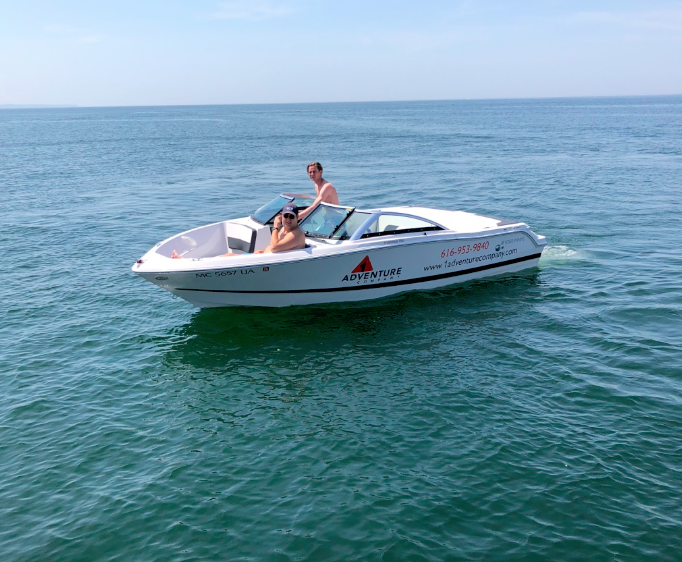 This boat rental is equipped with a stereo that has an aux input, stainless steel ski tow, comfortable seating, anchor, ski locker and all of the proper safety gear. Fuel is provided and expect a full tank at the time of your rental. Please see our Boat Rental Agreement for more information.